Gibbs Brothers Medal To Keane Jr.
Stevens alum Robert G. Keane Jr. (M. Eng. ’67) will receive the Gibbs Brothers Medal from the National Academy of Sciences, a nonprofit institution that recognizes achievement in science and provides science, technology and health policy advice to the federal government and other organizations. The Gibbs Brothers Medal is awarded every three years for outstanding contributions in the field of naval architecture and marine engineering. It was established through the Gibbs Brothers Fund by gift of William Francis Gibbs and Frederic H. Gibbs and is presented with a $20,000 prize. Keane is being honored for continued excellence as a naval architect. Throughout his 45-year career, he has played a major role in designing numerous outstanding naval warships, helping to make the U.S. Navy the most powerful in the world. For 35 years, Keane held technical leadership positions at the Naval Sea Systems Command (NAVSEA). For 21 years, he was a member of the Federal Senior Executive Service (SES), where he served in senior leadership positions as the U.S. Navy’s chief naval architect, chief of Ship Design, director of Ship Survivability and technical authority for Total Ship System Engineering (TSSE). 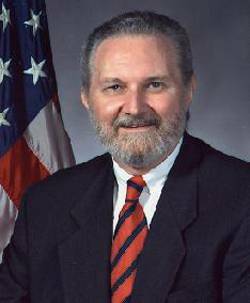 In his last position at NAVSEA before retiring in 2002, Keane was the executive director for Surface Ship Design and Systems Engineering. In this position, he was responsible for the design of all Navy surface ships and craft from concept to completion. His team completed more than 35 major contract designs which resulted in the acquisition of approximately 200 naval ships. Today, Keane is president of his own consulting firm, Ship Design USA. “My years at Stevens, as well as the support of my professors and others in the Davidson Lab, were instrumental in my career and life,” Keane said. Keane was born in Baltimore, Md., near the shipyard where his father worked for 43 years. He graduated from the Baltimore Polytechnic Institute and received a B.E.S. degree in Mechanical Engineering from Johns Hopkins University, a M.E. degree in Mechanical Engineering from Stevens, specializing in ship hydrodynamics, and a M.S.E. degree in Naval Architecture and Marine Engineering from the University of Michigan. Keane is a Life Fellow of the Society of Naval Architects and Marine Engineers (SNAME) and a Life Member of the American Society of Naval Engineers (ASNE), and he has received numerous awards for his notable achievements in naval engineering, including the Navy’s highest civilian award, the Distinguished Civilian Service Award. Along with other distinguished 2012 National Academy of Sciences award recipients, Keane will be honored in a ceremony at the National Academy of Sciences’ 149th annual meeting on Monday, April 30, 2012.